The Next Generation of Lawn Irrigation. It’s Pure Genius™. IrriGreen™ Genius™ sprinkler conserves water. Water streams are digitally controlled through a patent-pending, multi-stream nozzle and wirelessly mapped to the exact shape of your lawn. The Genius irrigation system is flexible, easy to maintain, and lowers your water bills. Conventional irrigation sprinklers waste water because they are positioned “head-to-head” in overlapping arcs. They cannot precisely conform to landscape contours and therefore must use wasteful overlapping arcs to water your lawn. 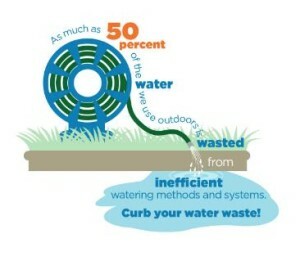 In comparison,Genius sprinklers use up to 50% less water. 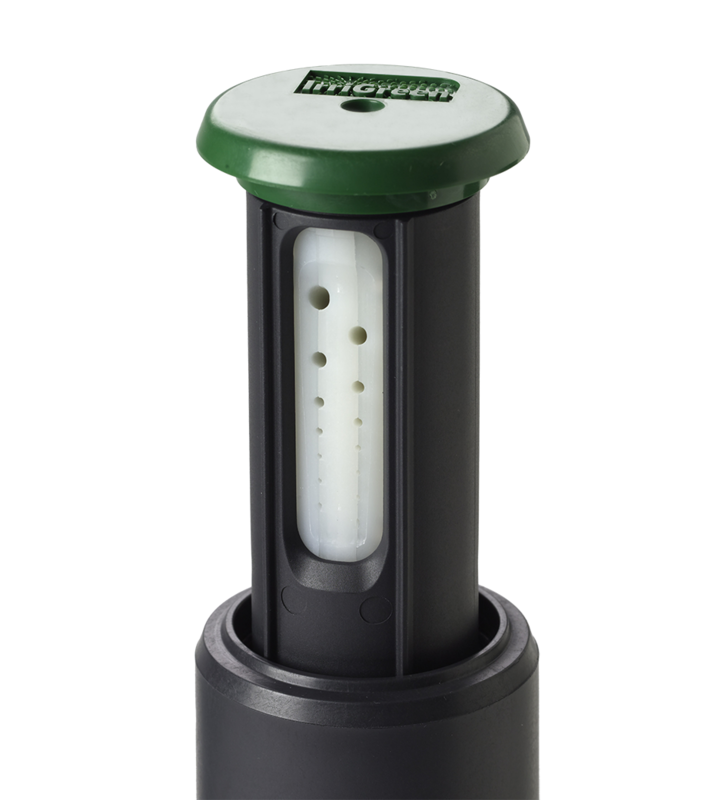 The Genius system is the next generation of lawn irrigation. Click This Image To Display a PDF. Outdoor water use varies greatly depending upon geographic location. In dry climates such as the Southwest, a household’s outdoor water use can be as high as 60 percent. In addition, some experts estimate that as much as 50 percent of water used for irrigation is wasted due to evaporation, wind, or runoff caused by inefficient irrigation methods and systems. It’s usually not necessary to water grass every day. Instead, test your lawn by stepping on a patch of grass; if it springs back, it doesn’t need water. Further your water savings by using regionally appropriate plants to create a water-smart landscape that is both beautiful and efficient to achieve the curb appeal you desire. Once established, native plants require little water beyond normal rainfall.